Rörstrand Slott & Konferens - Conference in Vasastan! 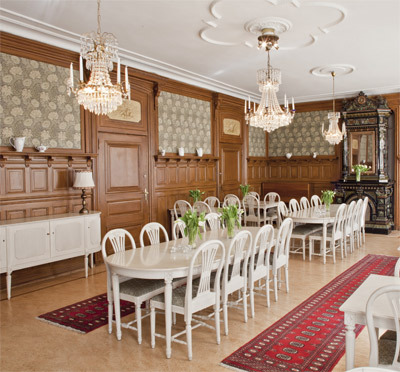 Rörstrand Slott & Konferens is a varied facility with space for 2 to 2000 people located in central Stockholm. Underground, commuter trains and buses stop close by, making it easy to reach us from anywhere. The building's unique castle-like floor, with room for up to 60 participants, dates back to the 17th century. Here is not the technology in focus, but the personal meeting. Warm and beautiful environment for those who want a different touch at the meeting! On another floor you will find two modern large conference rooms, Birka and Karlberg. Here the furniture is fully flexible, making them suitable for conference as for mingling or exhibitions. 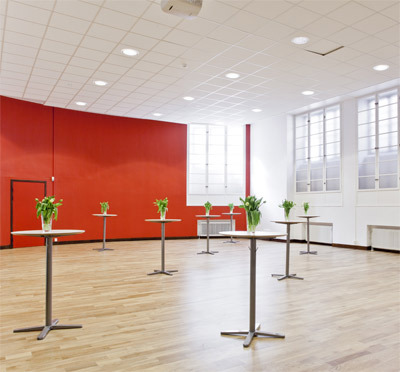 Karlberg accommodates up to 160 guests and Birka 275 guests in cinema seating. Some of the best of the premises is that they have folding walls to the corridor that separates them, which makes it possible to have a mingle area for 600 people! Both rooms are fully technically equipped. 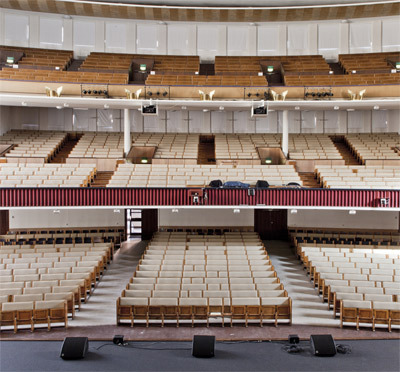 The biggest hall, Stora Salen, seats up to 2150 people, making it one of the largest halls in central Stockholm. The seats are divided into parquet (750 p), 1st gallery (810 p) and 2nd gallery (590 p). You can choose to hire only parquet if you do not need the entire room capacity. 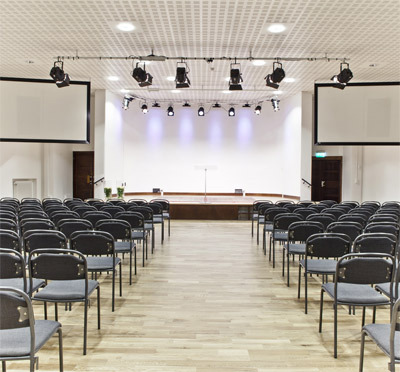 The venue is adapted for both conferences and concerts with high-quality audio and light systems and dual projectors. There is also a smaller mingle / exhibition area that you can choose if you want to use for exhibition space or to seat. Own lodge behind the stage is available. Please get in touch with Kontur Konferens for a view of these unique premises! 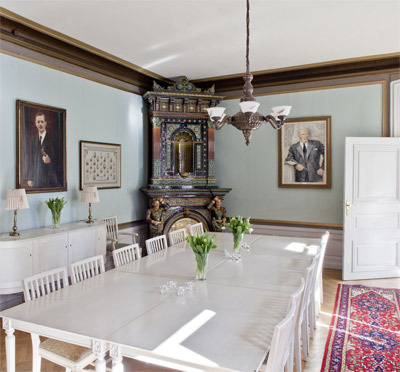 Have you been to Rörstrand Slott & Konferens and want to give your own comments?